Windows Management Instrumentation (WMI) provides a way of accessing details of your operating system that are normally hidden from the Control Panel, Device manager or Windows Explorer. Every time I review WMI it amazes me the number and variety of these probes, or WMI Classes that are available to PowerShell’s Get-WmiObect. 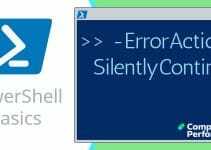 Although not all PowerShell cmdlets use the -List parameter, Get-WmiObject does support this handy enumerator. However, there is a problem with the base command: Get-WmiObject -List, namely the overwhelming number of classes returned. For this reason I have introduced extra code which filters classes relevant to a particular project; for example, network classes. One of the most useful subsets of WMI classes is the one beginning with Win32. This example will give you a count of the Win32 classes. Note 2: This script employs 3 variables, $i to count the instances, $Type to hold the string you wish to filter, and $WMI to initiate the loop which counts the object classes. Challenge 1: Observe and trace how PowerShell’s -Match parameter compares the value held by $Type. Incidentally, you could experiment with "CIM" instead of "Win32". Note 4: In practical terms, most of the 7 network classes are disappointing. However, this is a feature of WMI, it sounds exciting to find so many classes, but when it comes down to practicalities, only one or two are truly useful for any given task. 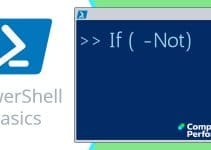 Nearly everyone who scripts with PowerShell calls for help with Get-Member. Some experts freely admit employing this technique, while others pretend that they can memorize all the properties. (One or two sad cases really can, and consequently, will quote all the Properties of any class you care to name). Note 6: The secret to success with Get-Member is to remember the (|) pipeline symbol before you append this Get-Member cmdlet. Note 7: If you are overwhelmed with information you can add the -MemberType parameter with a value of ‘property’ hence: Get-Member -MemberType property [a-z]*. Note 8: Before we leave Get-Member a reminder that even this command accepts Get-Help, thus you could try: Get-Help Get-Member -full. My point is that help will reveal other options, for example -MemberType Method. The key information that PowerShell’s Get-WmiObject needs is a WMI class. The examples on this will help you to research the best class for your task. Those WMI Classes beginning with Win32 are a particularly rich source, however to refine your search try adding a PowerShell -Match statement.